I am often reminded of one important rule of genealogy: go back over what you’ve found periodically because you never know when it will click. I don’t know how many times I’ve gone over research or looked at a photo that I’ve seen 20, 30 times without recognition. Then, the 31st time the light bulb goes on and I suddenly make the connections. Over the last couple of weeks, I have blogged about the challenge my cousin, Teresa Caires, and I have had finding Rose (Caires) Correia. It took a lot of research and a helping hand to finally root out her story. The problem was even after we found Rose and her daughter, we weren’t 100% sure of the connection. Instinctively, we knew we had the right people, but we wanted that one document that tied the names together. There is no obituary for Rose and other documents didn’t have her daughter’s married name. Teresa did connect with a cousin who confirmed our assertions, but there was still no paper record. This week I got an excited email from Teresa. 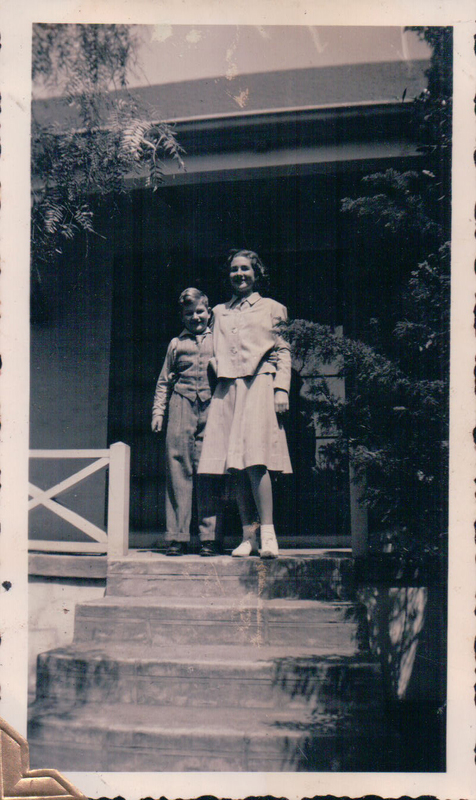 She had been looking through her grandfather’s photo album and came across photos that she could now recognize. Some were of my Pacheco clan (her grandfather’s cousins). It was awesome to see photos of my grandfather’s cousin, Richard Pacheco, as I didn’t have any photos of him. But, the big discovery was on the photos she found of Rose (Caires) Correia. The notes on the back proved what we had been trying to document. Her daughter did marry into the Butsch family! 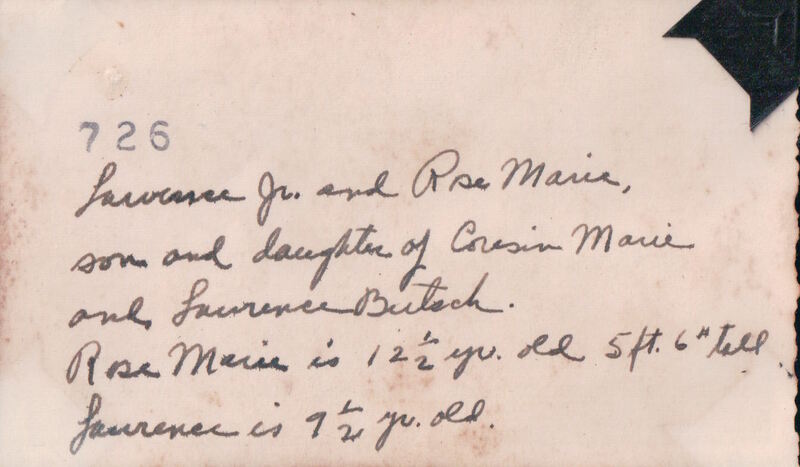 There are other photos in the collection that clearly state the relationship between Rose, her daughter, Maria, and the Butsch name. It was all right there waiting to be discovered. All we needed was the right information to tie it together. So, if you have documents that are befuddling you or photographs with no names, don’t fret. Sometime in the future, you may make a discovery. That discovery might be the missing piece that solves the mysteries within those unknown scraps. Always go back to your research. You never know when something will finally click.